The Lost Tapes * || 2Pacalypse Now || Strictly 4 My N.I.G.G.A.Z. Tupac Shakur - The Lost Tapes (1989/2000) BUY NOW! 2Pac - 2Pacalypse Now (1992) BUY NOW! 2Pac - Strictly 4 My N.I.G.G.A.Z. (1993) BUY NOW! 12 Strictly 4 My N.I.G.G.A.Z. Thug Life - Volume 1 (1994) BUY NOW! 6 How Long Will They Mourn Me? 2Pac - Me Against the World (Mar. 1995) BUY NOW! 2Pac - All Eyez on Me One (Feb. 1996) BUY NOW! 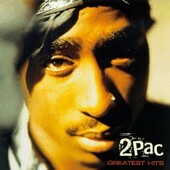 2Pac - All Eyez on Me Two (Feb. 1996) BUY NOW! Makaveli - Don Killuminati: The 7 Day Theory (1996) BUY NOW! 4 To Live & Die in L.A.